Editor's note: The Distinguished Faculty Lecture scheduled for Feb. 6 has been canceled because the main speaker, Carol Anderson, is ill. A new date will be announced as soon as possible. Emory historian Carol Anderson, Charles Howard Candler Professor and chair of African American Studies at Emory, will present this year’s John F. Morgan Sr. Distinguished Faculty Lecture, a traditional highlight of Emory Founders Week. “White Rage: The Unspoken Truth of Our Racial Divide” will be the focus of her lecture, to be delivered Tuesday, Feb. 6, from 4 to 6 p.m. in the Cox Hall Ballroom. The presentation, which will be immediately followed by a reception, is free and open to the public. 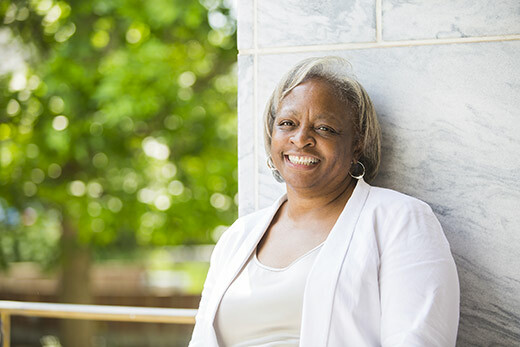 Her research has garnered numerous national grants and awards, and she has also served on working groups addressing issues of race, minority rights, and criminal justice. She has also been the recipient of many teaching awards. In addition to Anderson's lecture, the afternoon will also include the presentation of the Albert E. Levy Scientific Research Award in the junior faculty division to Muralidhar Padala, assistant professor of cardiothoracic surgery in the School of Medicine. The honor is given annually by the Office of the Provost's university research committee to recognize Emory faculty contributions to the advancement of scientific knowledge. The Feb. 6 event formally launch activities for Emory Founders Week, an annual celebration that commemorates the first meeting of the Emory Board of Trustees on Feb. 6, 1837, following the founding of Emory College. A new addition to Founders Week this year will be the Student Alumni Association’s (SAA) Induction Celebration. Formerly called the Sophomore Pinning Ceremony, this event marks a rite of passage for Emory students on their journey toward becoming full alumni. The tradition of recognizing Emory students as alumni after two semesters draws upon the lore of Atlanta business leader and philanthropist Robert W. Woodruff, who completed one semester at Emory before leaving to begin his storied career as a titan of business, notes Gary Hauk, university historian and senior adviser to the president. “This was in an era when the college degree was less critical to success in a wide range of careers, and most non-finishers were included in the Emory alumni directory of 1926,” explains Hauk, adding that Woodruff is remembered as Emory’s most generous benefactor. This year, about 1,400 second-year students have been invited to participate in the SAA celebration. In recognition of Woodruff, everyone who has completed two semesters at Emory’s Atlanta and Oxford campuses is considered a student alumnus, according to the Emory Alumni Association. This year’s celebration will be Wednesday, Feb. 7, from 6:30 to 8:30 p.m. in the Cox Hall Ballroom. Those interested in attending should visit here. For the pinning ceremony, students are invited to bring a guest from the Emory community who has been influential during their academic journey — be it an older student, alumnus, faculty or staff member — to pin them. The celebration is planned to coincide with Emory’s “All in a Day” annual day of giving, a concentrated 24-hour fundraising campaign launched last year during the inauguration of Emory President Claire E. Sterk to invite donors to help write the next chapter in the university’s story. Founders Week will also feature “A Feast of Words,” a celebration of Emory faculty authors or editors of books published in 2017. The popular event will be held Monday, Feb. 12, from 4 to 6 p.m. in the Jones Room of the Woodruff Library. Wine and hors d’oeuvres will be served. Sponsored by the AJC-Decatur Book Festival and hosted by Emory’s Center for Faculty Development and Excellence, Emory Libraries and Information Technology, and Barnes and Noble, this year’s reception will open with a toast and remarks by Emory President Claire E. Sterk and Provost Dwight McBride.